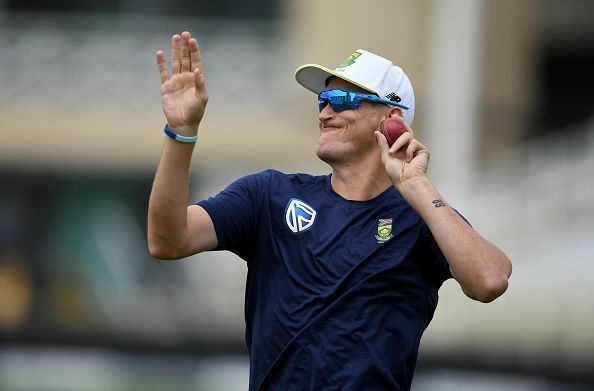 Chris Morris’ cricketing career started off in 2009 with the North West cricket team, a first class cricket team in South Africa. Since then, he has played for his national side and several T20 clubs including Chennai Super Kings, Rajasthan Royals and Delhi Daredevils in the Indian Premier League(IPL) and also teams like Lions, South African Invitation XI, South Africa A, Titans, Surrey, St Kitts and Nevis Patriots and Durban Qalandars. He is a very effective death bowler and also an impactful finisher when it comes to batting. He rose to fame when his skills got him an impressive deal for the 2013 IPL where he made his debut. He had a base price of $20,000 and was bought for a whopping $625,000 by Chennai Super Kings. Chris Morris made his One Day International debut against Pakistan on June 10, 2013 at Edgbaston. Since then, he’s had a total of 29 ODI appearances. In the 19 innings he has played, he’s scored a total of 324 runs with a strike rate of 97.6 and a high score of 62. As for bowling, his impressive stats make us wonder why he hasn’t played with the country at an earlier point in his life. He has 33 wickets from 28 innings with an economy of 5.56 and an average of 36.55 runs per wicket. He made his Test debut against England on January 2, 2016 at Newlands. Being a newcomer in test cricket, he’s played only 4 matches so far. Out of 7 batting innings, he’s scored a total of 173 runs with 69 as his highest test score. In terms of bowling, he has bowled 623 balls in 8 innings and has conceded 459 runs and has taken 12 wickets with his best bowling innings being 38/3 and best bowling match being 45/5. He also has an impressive economy of 4.42 runs per over and an average of 38.25 runs per wicket. Chris Morris’ rise to fame was in the 2011/12 season of First Class cricket where he was the highest wicket-taker in the domestic T20 competition with 21 wickets. Later that season, he helped his team - Lions reach the final of the 2012 Champions League. A year after that, in 2013, he was signed by Chennai Super Kings in the IPL, where his commendable performance took his team to the finals where they lost to Mumbai Indians. In 2016, he was signed by Delhi Daredevils for $1 million. He proved himself worth every penny the club spent by finishing as their leading wicket-taker that season. IPL 2019: Will a change in name change the fortunes of the Delhi side?